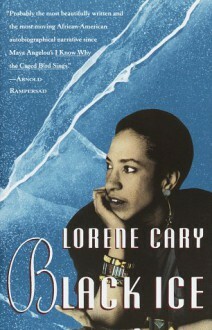 In 1972 Lorene Cary, a bright, ambitious black teenager from Philadelphia, was transplanted into the formerly all-white, all-male environs of the elite St. Paul's School in New Hampshire, where she became a scholarship student in a "boot camp" for future American leaders. Like any good student, she was determined to succeed. But Cary was also determined to succeed without selling out. This wonderfully frank and perceptive memoir describes the perils and ambiguities of that double role, in which failing calculus and winning a student election could both be interpreted as betrayals of one's skin. Black Ice is also a universally recognizable document of a woman's adolescence; it is, as Houston Baker says, "a journey into selfhood that resonates with sober reflection, intellignet passion, and joyous love."